Green Apple Awards 2007 for the Built Environment presented to Laing Traditional Masonry. 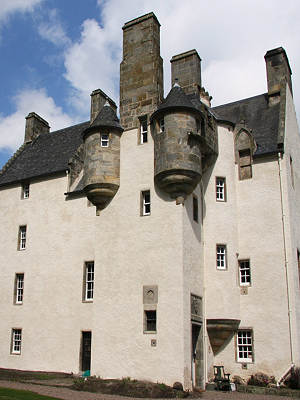 National Gold Winner for Tullibole Castle - Kinross, Tayside. The International Green Apple Environmental Awards are organised by the Green Organisation, an independent, non-political, non-activist, non-profit environment group dedicated to recognising, rewarding and promoting environmental best practice around the world. The Green Organisation is funded by membership and sponsorship, and supported by the Environment Agency, the Chartered Institute of Environmental Health, the Chartered Institution of Wastes Management, the Municipal Journal and others.